What is chiefly of importance for us to bear in mind here, is that God’s plan is to save, whether the individual or the world, by process. No doubt the whole salvation of the individual sinner is already accomplished on the cross: but the sinner enters into the full enjoyment of this accomplished salvation only by stages and in the course of time. Redeemed by Christ, regenerated by the Holy Spirit, justified through faith, received into the very household of God as his sons, led by the Spirit into the flowering and fruiting activities of the new life, our salvation is still only in process and not yet complete. We still are the prey of temptation; we still fall into sin; we still suffer sickness, sorrow, death itself. Our redeemed bodies can hope for nothing but to wear out in weakness and to break down in decay in the grave. Our redeemed souls only slowly enter into their heritage. Only when the last trump shall sound and we shall rise from our graves, and perfected souls and incorruptible bodies shall together enter into the glory prepared for God’s children, is our salvation complete. 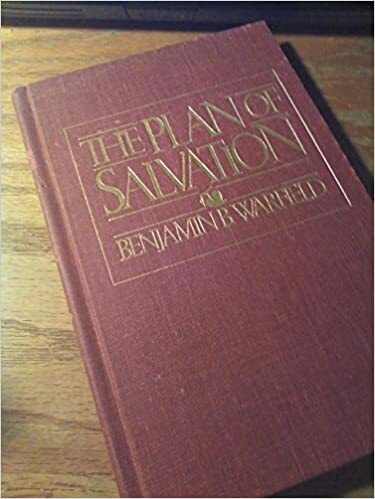 Benjamin B. Warfield, The Plan of Salvation: Five Lectures (Philadelphia: Presbyterian Board of Publication, 1915), 129. This entry was posted in Uncategorized and tagged Christian Life, Salvation, Warfield.